A new voice is rising from the great democracy of India, and that voice is proclaiming that the only responsible choice for public sector software is software that is first and foremost available to the public-to read and understand, to modify and improve, and to share and redistribute. The campaign Public Software for Public Sector has published a Manifesto expressing their belief that free and open source software is a natural fit for the vibrant traditions of Indian democracy and its emphasis on sharing knowledge, and that the liberal licensing policies of such software are necessary to ensure that India can build a stronger economic base for the 21st century. I cannot yet speak for the OSI Board on the subject because the manifesto was released just after our most recent board meeting, but I can say that personally I endorse the manifesto. Based on my 22 years of experience of seeing how broad access to source code has consistently and comprehensively led smaller teams to develop more innovative software, more rapidly, with fewer bugs than traditional proprietary methods, I certainly agree that when it comes to value for money in the public sector, free and open source software has been the clear winner. 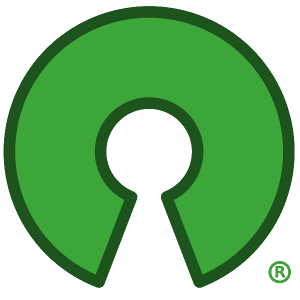 In that sense what I have seen is that the best of the free/open source software universe out-competes the best of what the proprietary software universe has to offer. Unfortunately not every competition is about best vs. best. Sometimes we see how the worst actions by one competitor not only harm the other competitors, but the whole market itself. A single bad actor can harm even the democracy intended to govern that market. Take for example electronic voting and election fraud. The process of voting is the means by which the people edit (and hopefully improve) their government. If voting counts are corrupted by technical errors (or worse, by intentional technical means), the the government itself becomes suspect. For example, the people of Humbolt County California were able to find a combination of technical errors, design errors, and procedural errors that now has the State considering a decision to decertify the election results of November 2008. In that election, the deletion of 200 ballots did not change the outcomes of any races, but the nature of the problems, and the fact that the problems were known to the company and not known to most public officials since at least 2004, there are serious questions as to whether invalid results did change the outcomes other other, more significant elections (such as the US Presidential elections of 2000 and 2004). As the investigations continue into who did what (if anything) to alter which election, there can be no doubt that the use of proprietary software in this all-important role of public interest was a grievous error. There are numerous other cases where proprietary software has compromised the integrity, trust, or efficacy of public institutions. Yet the nature of proprietary software means that these public institutions are powerless to do anything other than to issue another trouble ticket and hope that the problem is fixed in the next release. In the case of open source software, problems can be fully examined, defective designs or implementations can be ripped out wholesale, and proper fixes implemented. Compared with the experience of proprietary software, is it a surprise that after four years in the field, the Linux kernel shipped by Red Hat has part of Red Hat Enterprise Linux 4 had zero critical issues against it? And so Public Software for Public Sector now calls upon the people of India to pick a winner. Not just the champion du jour, but a best practice which, by design, by democratic participation, by transparent and independent examination, and by continuous, competitive improvement, leads to an always-superior result. Public Software for Public Sector calls upon the people of India to reject a choice that is not subject to democratic improvement, to reject a choice which, once made has proved devilishly difficult to unmake. My hope is that India is so successful that other democracies will look to them for leadership, and example of a good marriage between policy and reality, between vision and pragmatism, between hope and hard-nosed practicality. The choice before them is not the lesser of two evils (as many cynics believe), but between good and ... if not evil, not good enough.